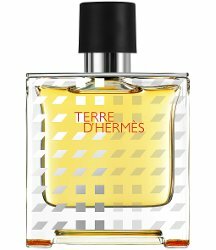 At Selfridges, what appears to be the latest Flacon H limited edition of Terre D’Hermès, shown in what they call 100 ml Eau de Parfum (but is more likely 75 ml Parfum) for £93. There is a matching 100 ml Eau de Toilette for £84. I'm not picky, I'll take either.